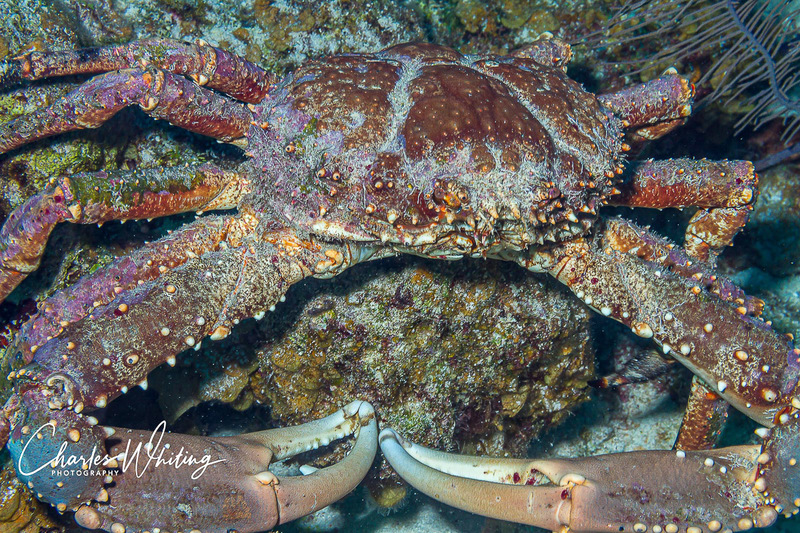 A Channel Clinging Crab rests before resuming the hunt for food. Lighthouse Reef, Belize. Photo © copyright by Charles Whiting.